Buy vs. Build Calculator | Is outsourcing web development right for my agency? 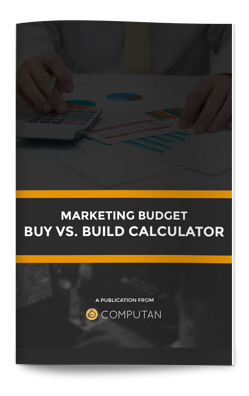 Use this calculator to save costs on your next marketing project. It’s time to get real about the costs of your marketing projects. Whether you’re considering hiring in-house or outsourcing development work, it’s important to understand the costs associated. This free calculator will help you to compare the cost of hiring a new team member versus outsourcing web development needs so that you can make the best decision for your business.